Abrasive blasting is extremely useful in the fields of historic restoration. At the beginning of this year, we blasted and painted a historic anchor from the well-known Fort Scott National Cemetery. Fort Scott National Cemetery is a United States National Cemetery located in Fort Scott, in Bourbon County, Kansas. Administered by the United States Department of Veterans Affairs, it encompasses 21.8 acres, and as of 2014, had more than 7,000 interments. It is one of three national cemeteries in Kansas (Wikipedia).  Blast It Clean believed in building a clean culture. A large part of this was the restoration and recovery of historic objects. The Midwest region had a profound history of explorers and pioneers and we took it as our responsibility to preserve these historic objects. After preparing the surface with Black Beauty coal slag blasting, our team applied a three-coat system which included a Zinc Primer, Macro Poxy 646 as an intermediate coat, and Top coating the surface with Acrylon HS 218. Acrylon is a urethane that will help deflect any daily elements the anchor is exposed to such as sun, rain, or snow. The high gloss finish also gives a great curb appeal to anyone passing through the area. “This is a special project. By special, we are saying it is culturally and historically valuable. We need to be very careful with the surface, the color we chose and the finish method. We want our coating to last as long as it can and look as good as it should be.” Said Jake Liles, our Project Manager. To show our support for the preservation of historic sceneries and landmarks, we offered this service free-of-charge, where the Fort Scott National Cemetery was only responsible for the cost of paint. This historic anchor had special meaning to the cemetery. According to the Fort Scott Tribune, the anchor was built as part of the granite monument which honored United States Navy veterans. The monument located inside the Monument Circle at the Fort Scott National Cemetery. “The monument honors the service and sacrifice of the many sailors and Navy airmen buried there, as well as those to be interred in future years.” Said Daryl Roller, a U.S. Navy veteran formerly of Fort Scott. Now that the anchor is blasted and painted with a gloss finish, it will return to the Fort Scott National Cemetery and continue to honor those who gave their lives to the nation. The members of Blast It Clean cannot wait to see the anchor being returned to the monument. If you have a historic landmark that requires restoration, fill out the contact form here or give us a call at (877) 379-4233.